Born and raised in Richmond, Asani Shakur grew up like many kids in neighborhoods where violence is a fact of life. Shakur said he started to deal drugs and proudly carried a gun like a badge. His perspective changed when he was sent to federal prison on a drug charge. He served his time and got out a newly determined man. 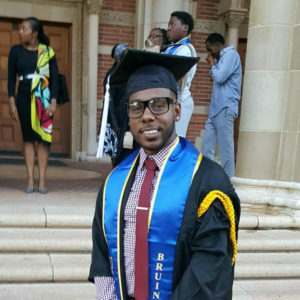 He was admitted to UCLA and in four years earned all A’s and a college degree. “I wasn’t living to live, I was breathing to die. I now value my life.” Read his story at Richmond Pulse. This entry was posted on July 22, 2016 by Editor in Print, Richmond Pulse.